Hello! 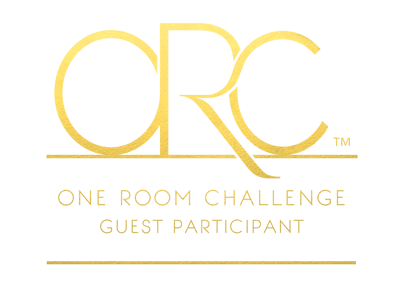 Welcome to my fourth week of my first One Room Challenge! It’s really coming together. But it needs some plants. And I’ll be completely honest: I am accumulating too many plants. I suppose I could stop buying them, but they are the best way to decorate. 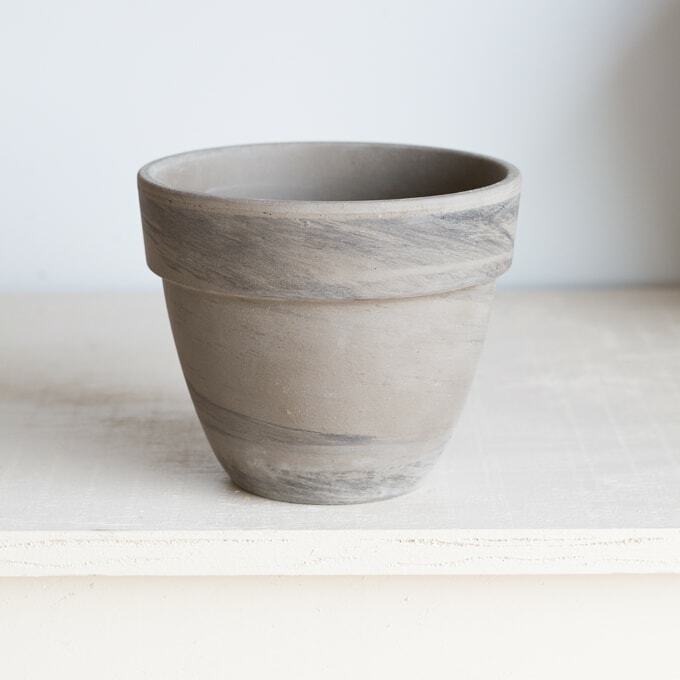 So today I’m sharing a few paint makeovers that relate to plants. For the first one, I wanted to do something a little bit different: a plant stand! I decided to use the Ikea Satsumas plant stand, one of the new-ish Ikea pieces, in this room because I like its modern look. 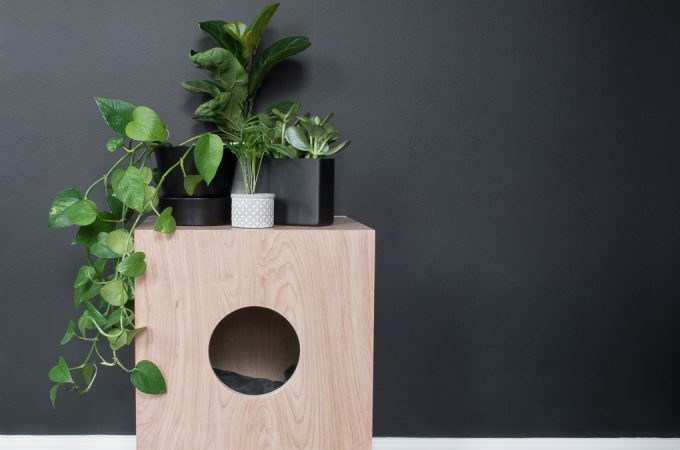 It’s an affordable option, and like most Ikea products, it’s kind of screaming to be given a personal touch. 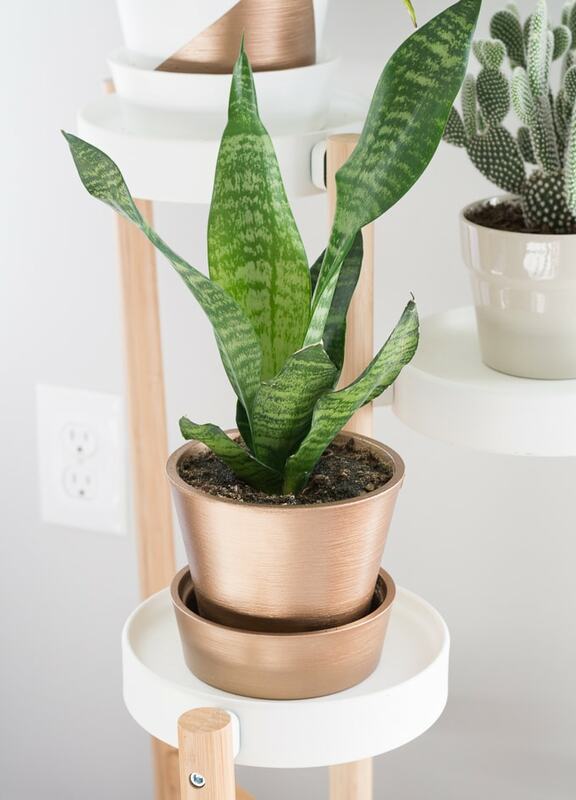 I was compensated for this plant stand makeover through the DecoArt Blogger Outreach Program, a program I am honored to be a part of! 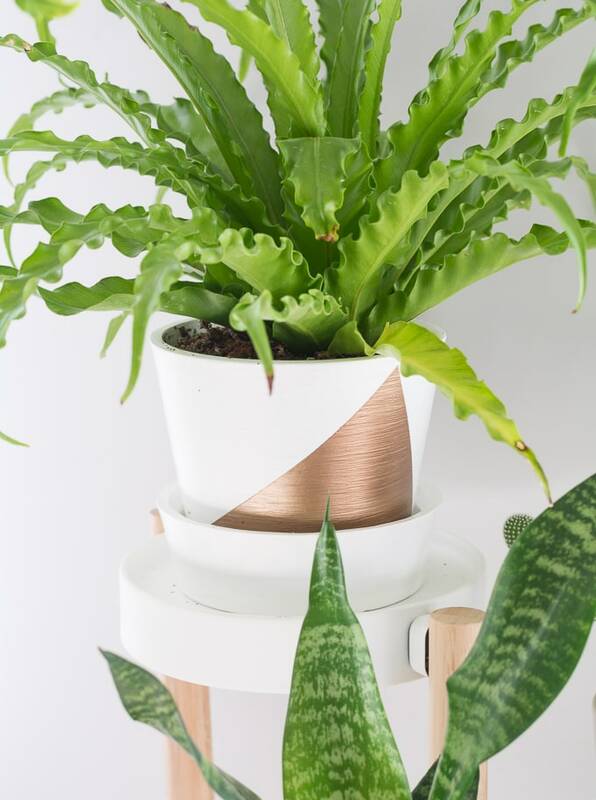 I love DecoArt products, and I LOVE how this plant stand looks in my home! For the dipped legs, I used my absolute favorite DecoArt Americana Decor Metallics color, Antique Bronze. 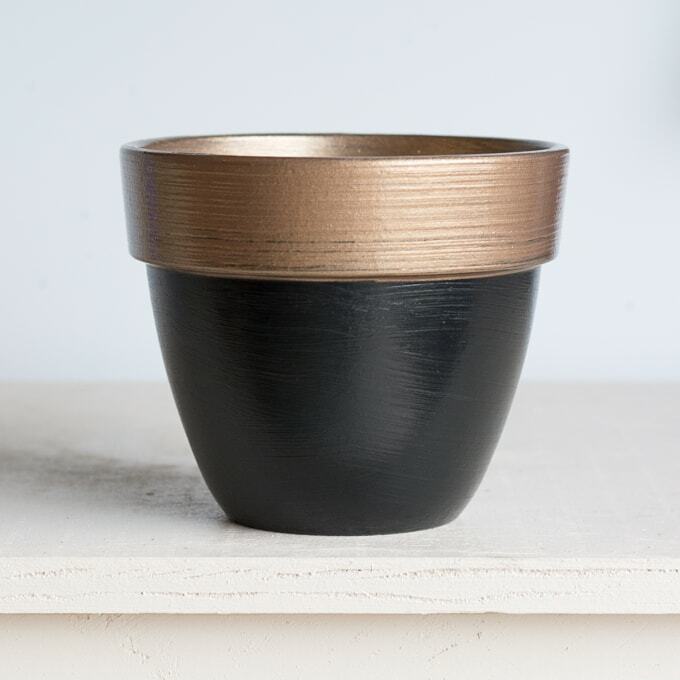 I decided to customize a few pots (different sizes here) to go with the metallic dipped leg plant stand as well. What do you think? The plants are from Ikea as well! The Ikea in College Park has really stepped up its plant game. This makeover was really easy, too. To see the entire tutorial, head over to DecoArt project gallery! So what else am I up to? Organizing and repotting my plants, that’s what. 🙂 And painting some new pots so they’ll look lovely in this space! 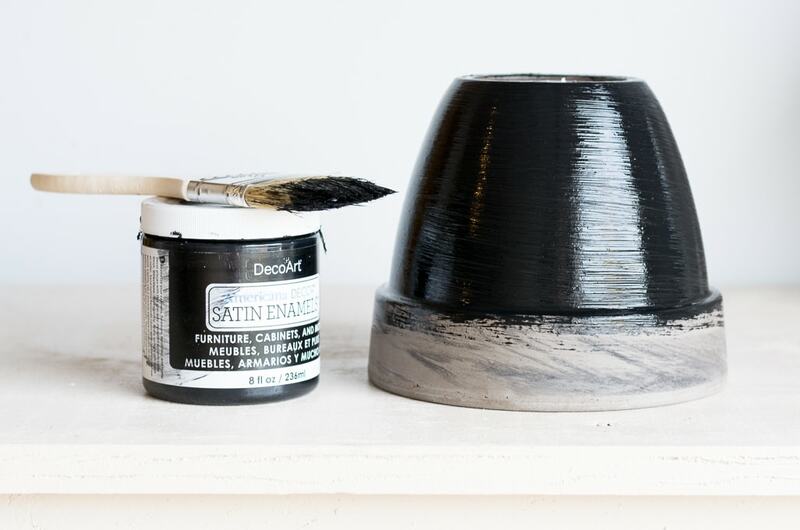 Here is one I painted using DecoArt Americana Decor Satin Enamels in Classic Black. I taped off the lip using Frogtape and painted it using Americana Decor Metallics in Antique Bronze (I told you I loved this color). While the black only needed one coat, the bronze needed two. Here’s the first coat dry before I re-taped it and painted the second coat. 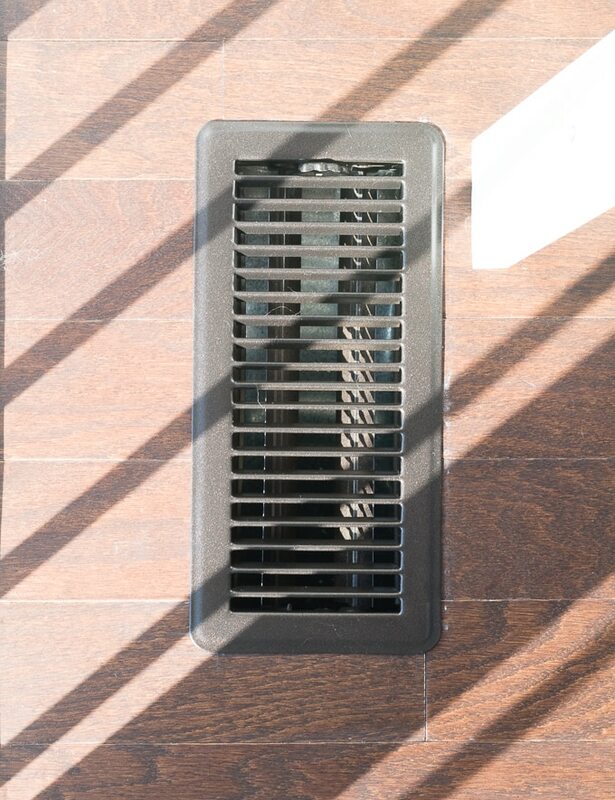 On last week’s post, I also had a reader, Laura, point out how ugly my floor vents were. And she was right. 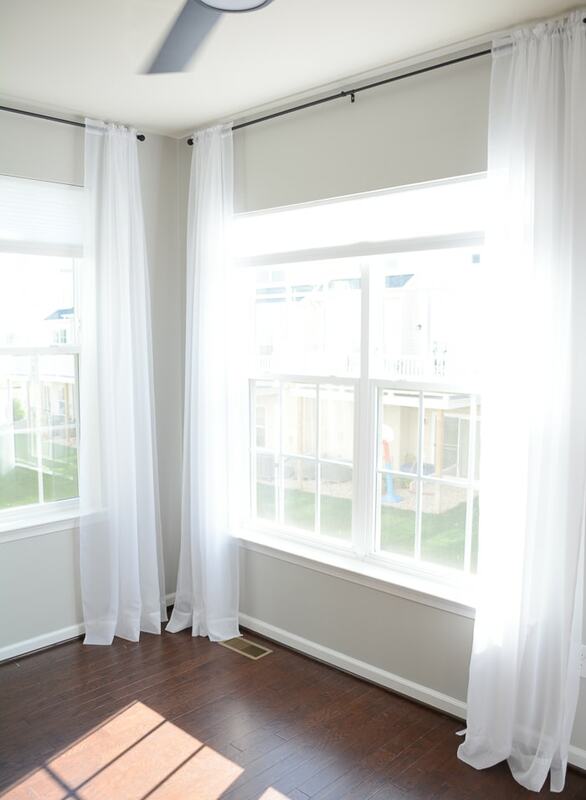 Their light tan color really stuck out like a sore thumb on our dark wood floors, and I couldn’t stop looking at them after she pointed it out! How could I miss that? She recommended these, but there are three in the room, so I opted to just spray paint them to save some cash. I used Rust-Oleum oil rubbed bronze. What do you think? One any given day, I could be linking up at these link parties. Make sure to check them out for a wide variety of DIY ideas! ooooh i love that ikea plant stand! i need to get to ikea! I’m going tomorrow and have been looking forward to it all week! Your plant stands came out so pretty! Love the gold against the black. So elegant. 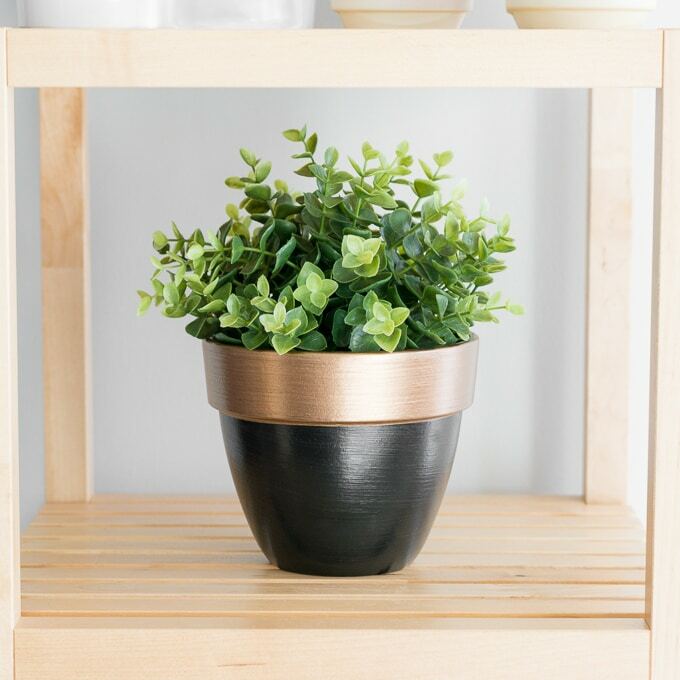 I’m incorporating some plants in our bedroom makeover to give some greenery and bring life into the room. Love how plants do that! Making great progress, Brittany! Oh wow, I love how the plant stand turned out! It looks absolutely fabulous – I might need one myself!! Thanks Amanda! I love it! I thought the space looked beautiful last week but isn’t it amazing what some green will bring to a room! 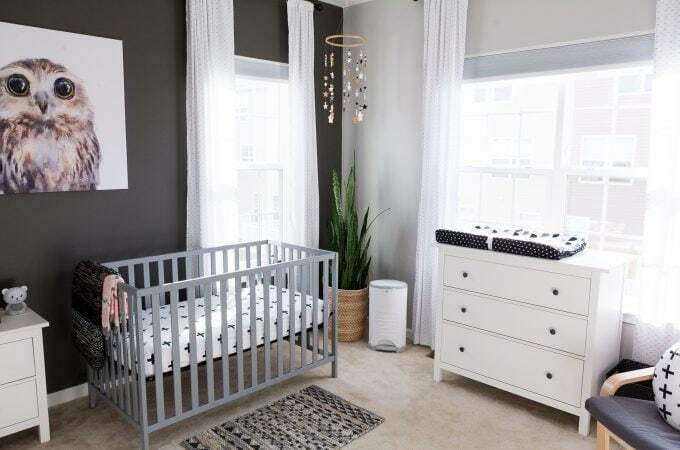 The planters look amazing… I love the Americana Decor Metallics paints but haven’t tried this one yet, it’s on my list now! Can’t wait to see the completion! Awww thank you so much! Antique Bronze is my favorite. I need to chill out with it before I go overboard, lol. You have a great window for plants and I love all the gold accents your throwing in. Can’t go wrong with gold. Thanks Maggie! My cats agree…he destroyed one of my painted gold pots last night. I should have known better than to take his window. 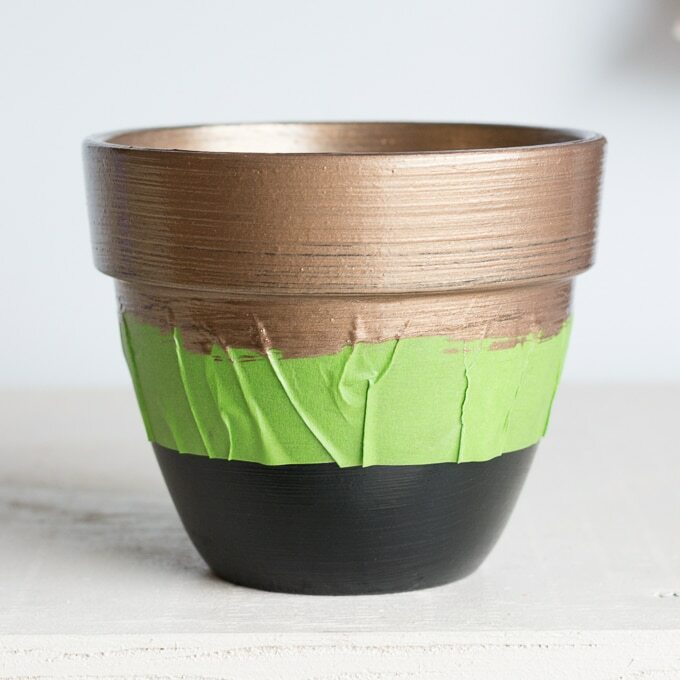 I love the way you painted the pots, it makes the the green pop so much more. 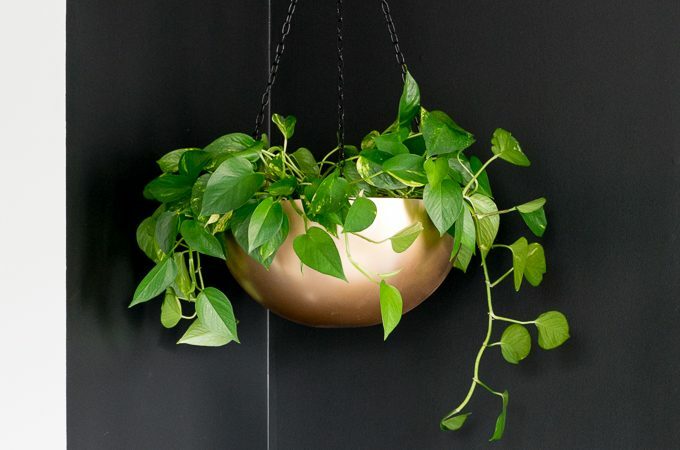 I am totally n love with the painted gold pots .The green make the pots pop! 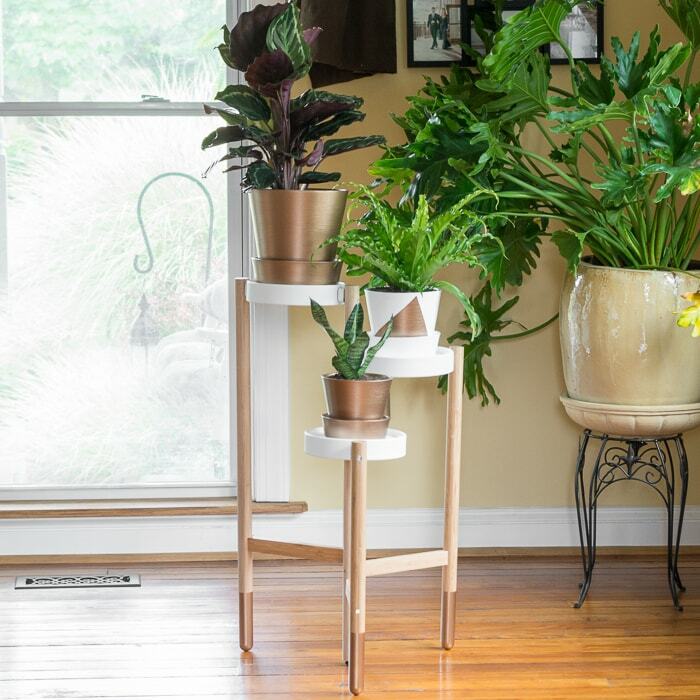 I’m digging that plant stand. If only there was a space in my home with the right exposure! LOL yes! But what a difference a little spray paint made!! Love love love all those potted plants and what you did to the pots! So simple and yet what a statement they make! LOVE that antique bronze! The newly decorated pots look fantastic! You too! 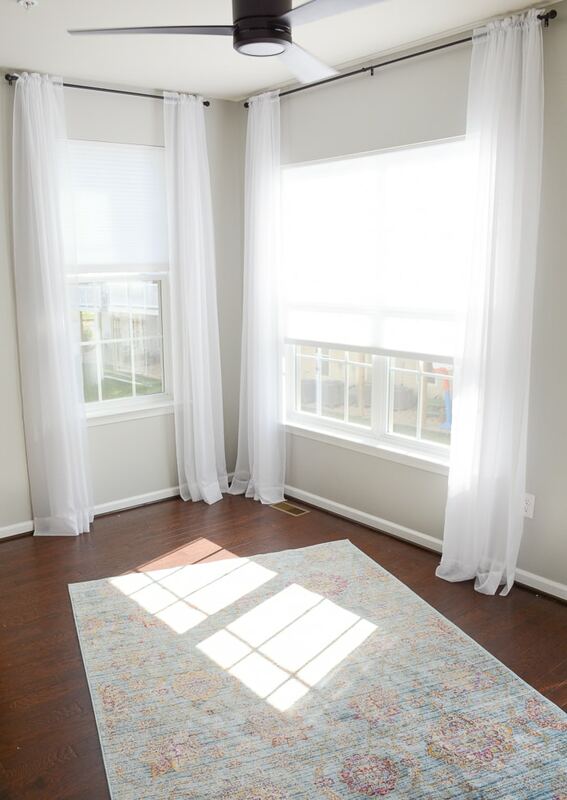 Love your rug! No room is complete without lots of plant babies! Love all these fun vases! Agree, my husband thinks I’m insane because I call them my babies. And maybe I am..
Plants look beautiful and I love the pots! Girl just hit up an Ikea…their plant section is bringing some a-game lately. At least mine is! Lots of great, reasonably priced finds. I actually got some plants on Amazon recently, too! It’s impossible to stop buying plants. I have wayyyy to many 😉 Love what you did with the pots – the antique bronze is so pretty. Yup, I don’t think I would have even noticed, but I had the paint already and thought why not?! So glad I did! I love the plant pots! So pretty. Isn’t it amazing how paint can change things? 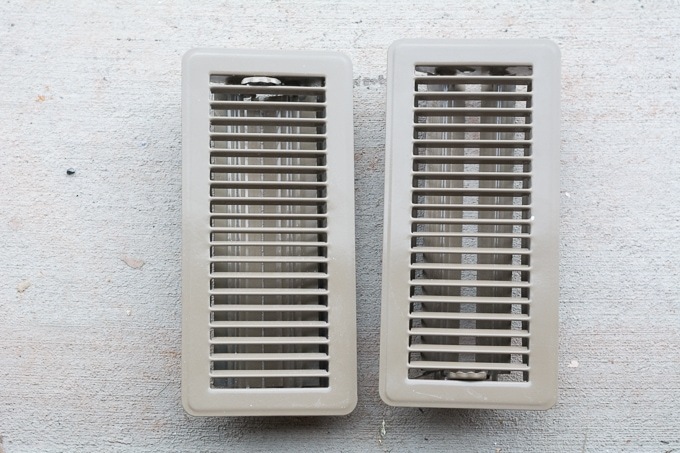 I sprayed my vents recently too. So worth the effort! Great job, looks fantastic! 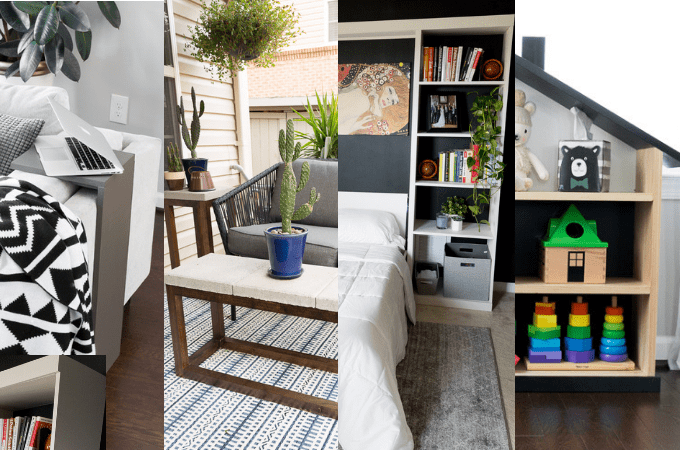 I think I may just have to treat myself to one of those Ikea stands as my indoor garden could use a little organizing…..sometimes it looks seriously like a jungle, for better or worse! thanks so much for sharing on craft schooling sunday! Okay. That plant stand is awesome. 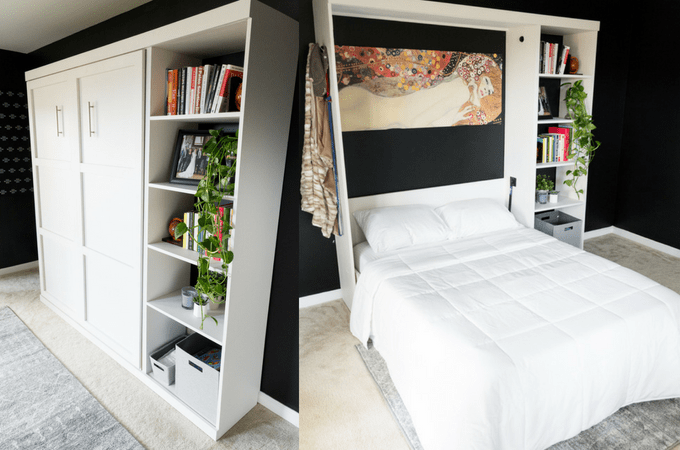 I feel like a trip to IKEA needs to happen… and soon. Love what you did with it. And spraying those vent covers. Perfect. I use oil rubbed bronze on everything. Love that color. Everything is looking amazing! I know, I love it! They have a few other plant stands in this line, too. Also, none of the plants have been knocked over by my mountain lion, which was a big concern since they are pretty low to the ground. Fingers crossed. Love the plants and the pots. Looks wonderful. I LOVE your taste girl! All of those plants and stands are gorgeous! Thank you <3 and right back at you!! 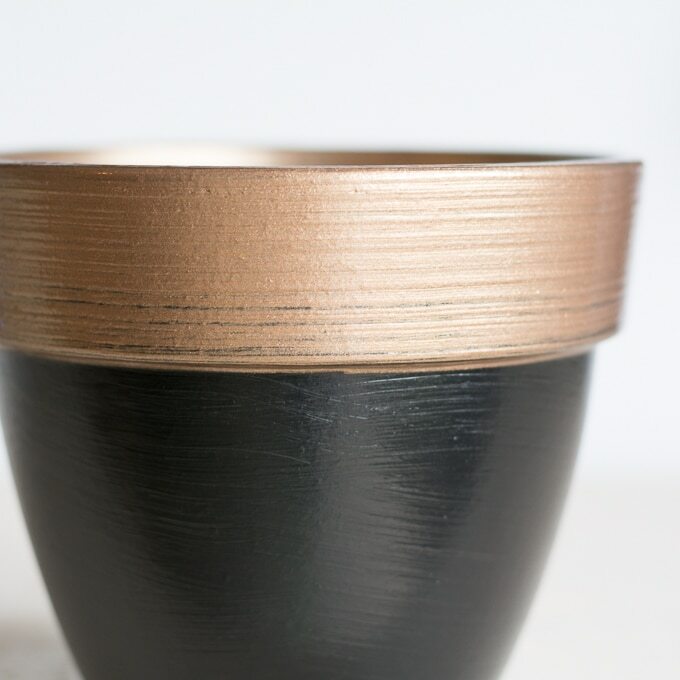 Those bronze and black pots are amazing!! I’m loving this room! Thank you Ruthie! I just love that Antique Bronze color. How did I miss this last week? 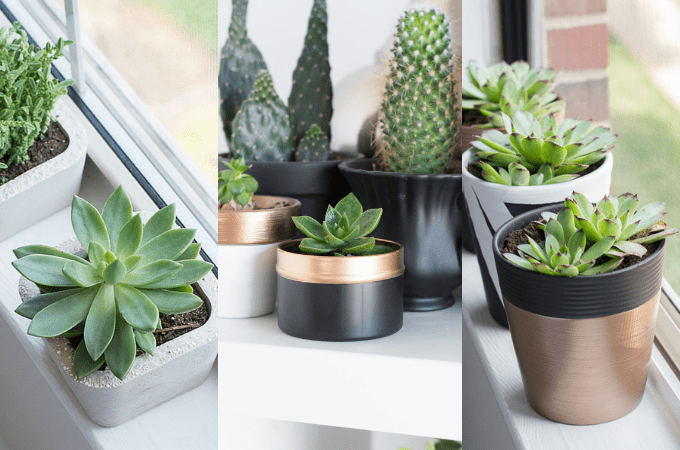 I love plants in a room and I really love how you transformed your pots! Totally awesome! I can’t wait to see the final reveal, Brittany! It’s hard to miss this many plants 😉 Thank you! 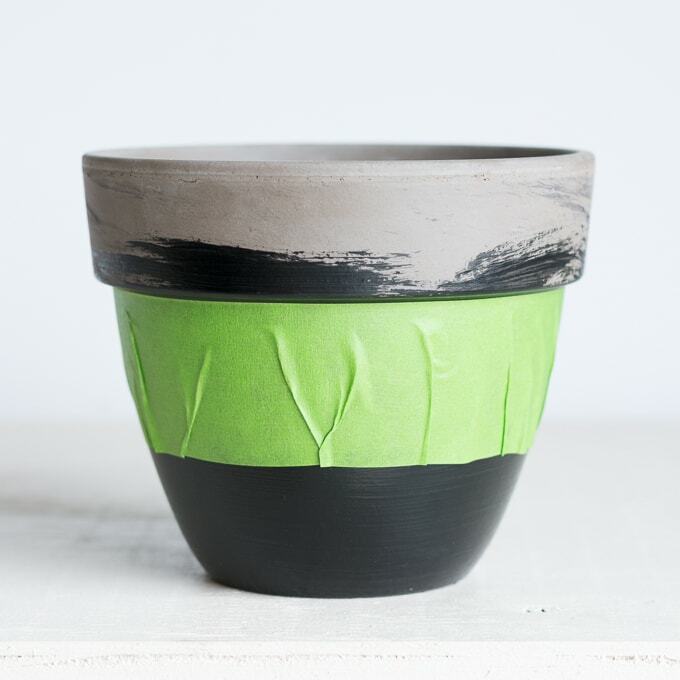 Your painted pots turned out awesome! I love how simple and elegant they are. Pinned and sharing. Thanks so much for linking up at Family Joy Blog Link-Up Party last week. I hope you will join us again starting Sunday at 12 EST. What is the the circumference of the individual white dishes on the plant stand? I’m trying to figure out the biggest pot I can get on there. Hey Grace! Sorry for my delayed response. I just measured and it’s about 25 inches. The diameter is 8 inches.